2,000,000th Hit Gift From Laine! Yes!!! 2 Million Hits!!!!!! It's Thanks to visitors like you, that the Madman's Cafe has come this long. 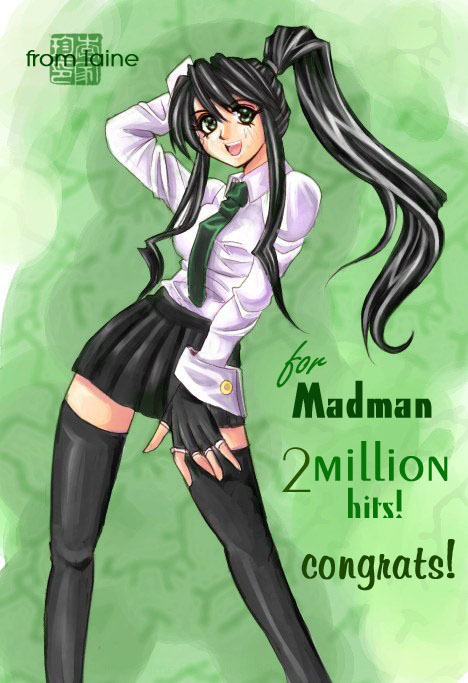 Thanks to Laine, the mascot character for the Madman's Cafe- "Dita", is up on celebrating the 2 millionth occasion!! For more Cool- and some twisted humor artwork, check out Laine's site, Tasty Graphite... "It's uglier than your momma !"